Size: 15,709 sq. 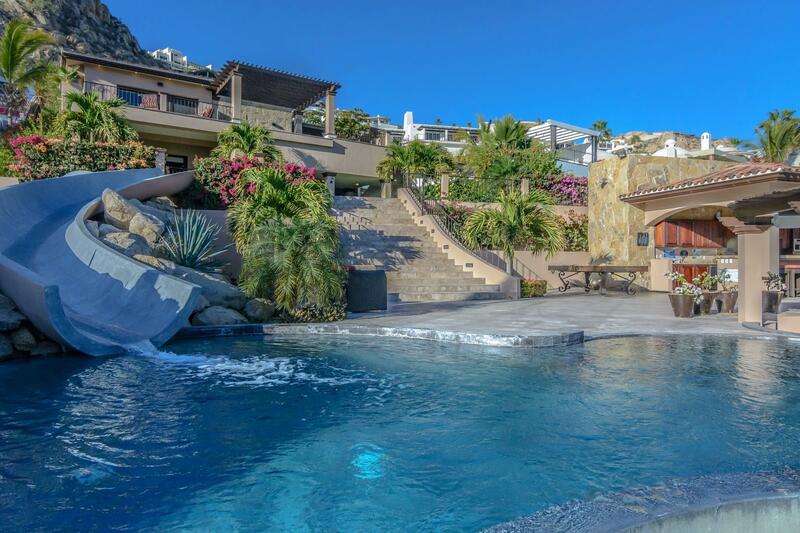 ft. "12,546 Interior 3,163 Outdoor space"
Enjoy amazing views to the Pacific Ocean! Incredible sunsets. Enjoy amazing views of the Pacific Ocean! Incredible sunsets where you can spend hours watching the migrating whales. Casa de Hierro located in the elite community of Pedregal, offers 4 bedrooms, 4 and half bathrooms, full Guest Bedroom. Enterteining room, Bar , Gourmet Kitchen with granite counter tops, Beautiful fountain in the pool, fire pit and jacuzzi.